I must admit, at first I had my doubts about whether or not I’d be cycling Kalgoorlie. 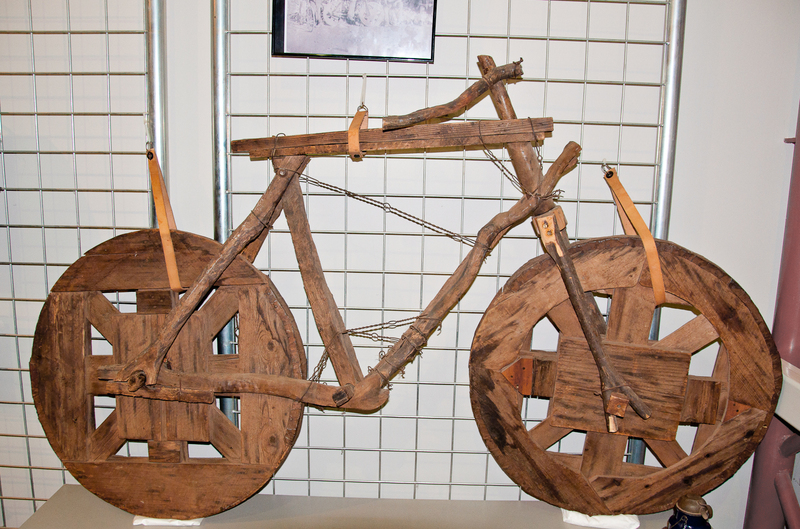 I visited the Museum of Western Australia and found this remarkable precursor to the modern Cervelo, built with wheels from old boxes, “tyres” from old meat tins and forks fashioned from mulga wood (whatever that is). 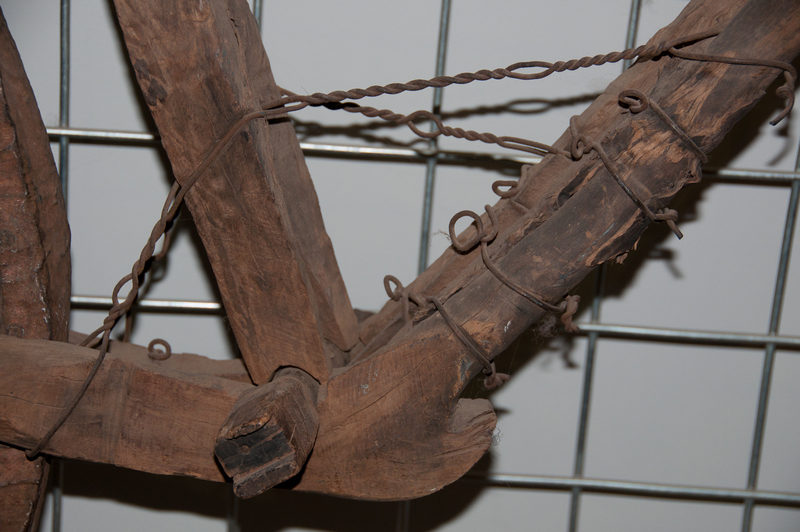 Consider this detail of the chainular region, which back in the day would have been wrapped with – would you believe – a “chain” made of bullock hide (whatever that is). One can only wonder how the fate of Andy Schleck in this year’s Tour de France would have been altered if he’d opted for this legacy technology. The exhibit noted that this woody relic had been “pushed” from Southern Cross to Mount Barker back in the gold rush days. Being a Canadian and generally unaware of distances here in the outback, I had to have a peek at the map to discover that this represents a distance in excess of 2,150km, which, I am sure you’re aware, is about the distance from Vancouver to Winnipeg. 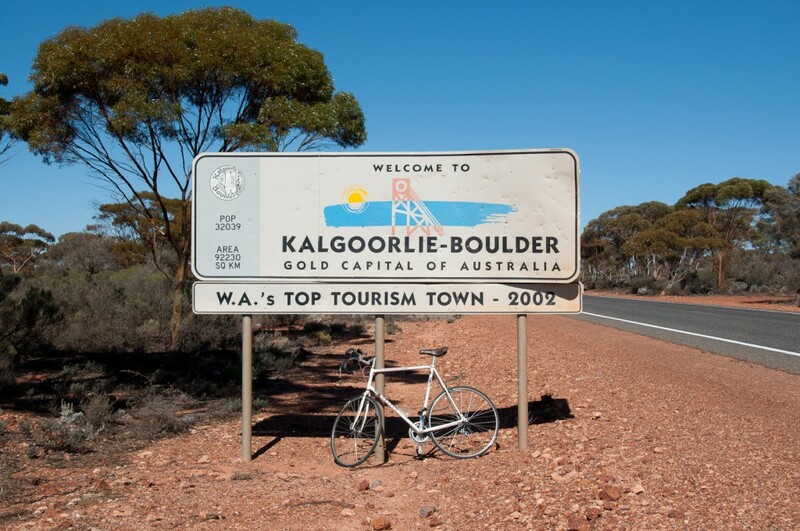 So what excuse did I have, visiting Kalgoorlie and not getting onto a bike myself?! I proceeded into town and found the local cycling shop, Hannan’s Cycles. 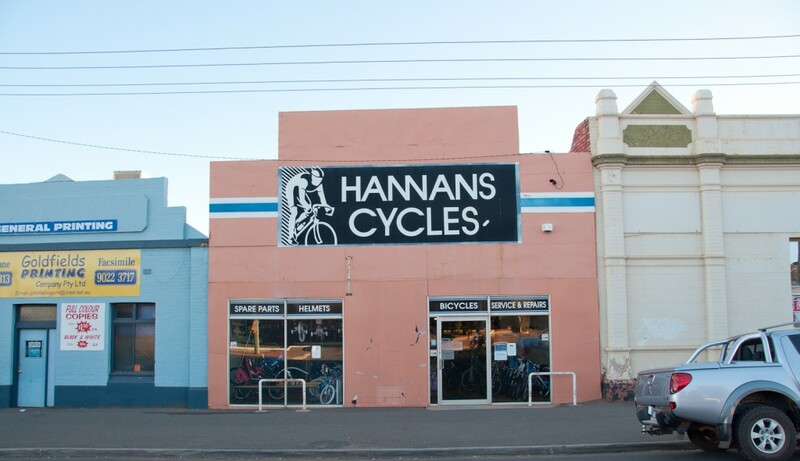 If you need cycling gear in Kalgoorlie, Hannan’s Cycles is the shop you’re looking for. A gentleman named Brian there very kindly loaned me a road bike they had in the back. I will be forever in his debt, for not only did this act of generosity give me access to a bike made out of modern materials, but he’d also tuned it up ready to go for a cycle out of Kalgoorlie! 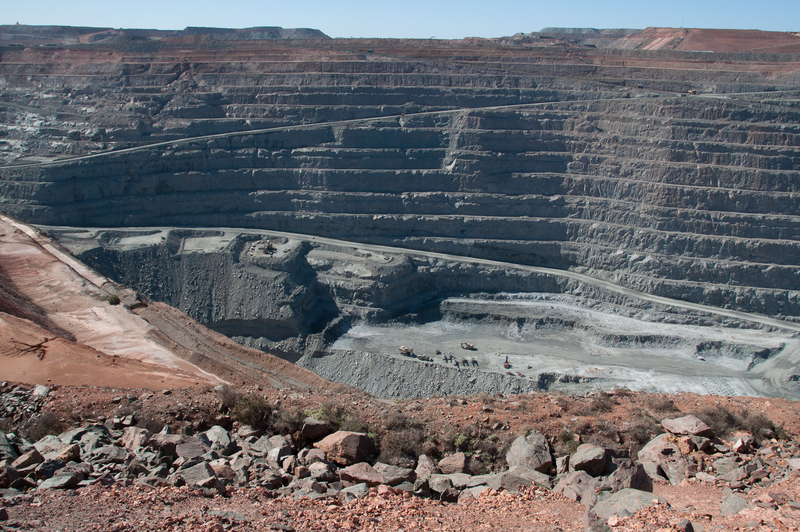 I started by visiting the vast Super Pit, this massive gold mine just outside of town. In fact, I was there just in time to see the day’s blast! 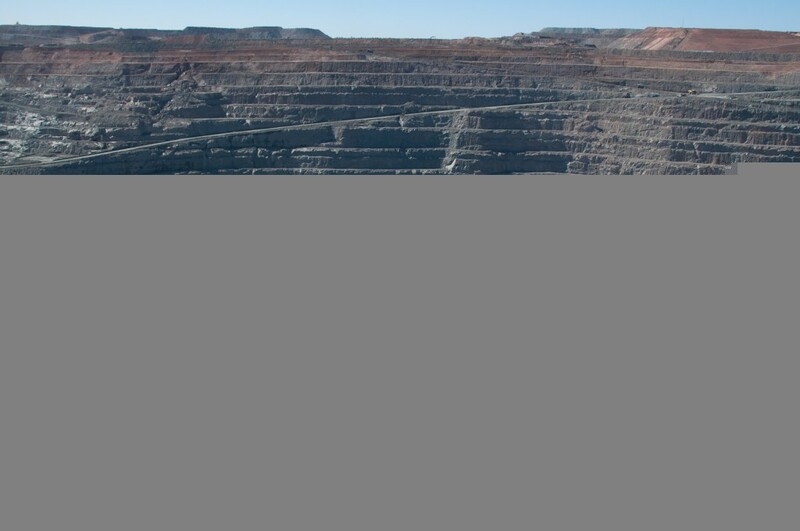 This pit is insanely massive, and only getting bigger: the viewing platform I was standing on is due to be demolished shortly as the open pit expands towards town. 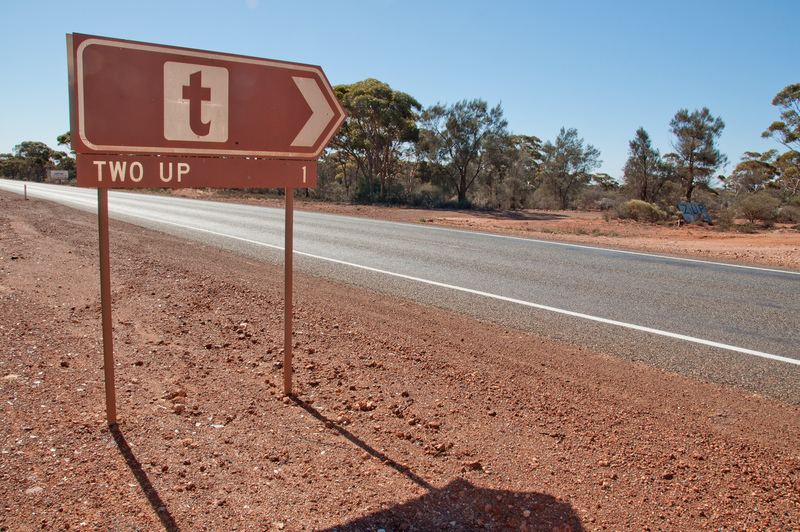 So off I went down the Goldfields Highway to see what I can see. In Toronto I sometimes lament not having a long enough stretch of road to (safely) attempt a series of intervals. Here, this is not an issue. The road went on into the bush for as far as the eye could see. And not only that, but look at the shoulders. They were great, and traffic was forgiving. These Road Train mothers of all truckers legally stretch up to 63.5m in length and just when you think they’ve finished passing you, there’s an improbable amount still coming to whoosh by. 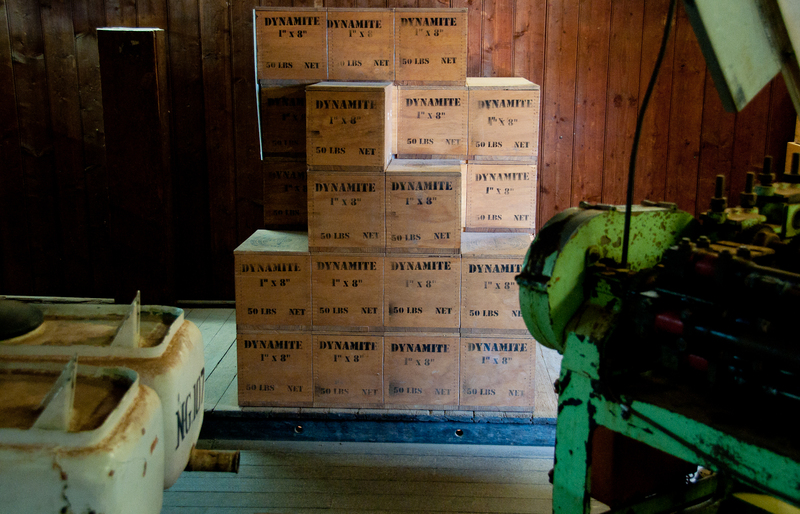 And what trip to a mining town would be complete without a visit to the explosives reserve? Actually, I kid — they wouldn’t let me anywhere near a room this full of explosives! This is an exhibit at the Mining Hall of Fame showing what the explosives would have looked like during the same era that the above mulga wood bicycle was bleeding edge. 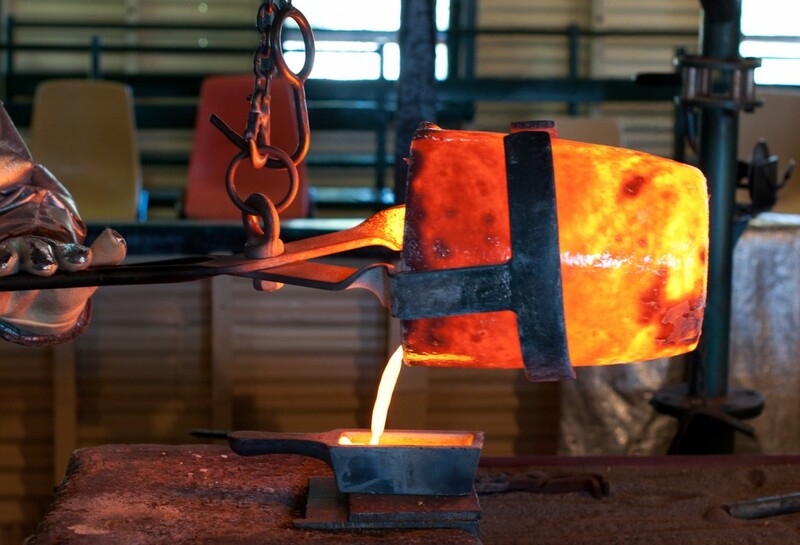 I suppose that, in a pinch, the very resourceful cyclist of yesteryear could have whittled their mode of transportation into a fuse, ignited the explosives, and found some gold like the hot stuff pictured above, which could then have be used (in conjunction with time travel), towards the purchase of a new Cervelo. Can you pull off a cunning stunt like that with a carbon fiber frame? I dare say you could not. I rest my epic case. All the best from Kalgoorlie!